This stunning Bible re-tells 25 favorite Bible stories from the Old and New Testaments with a modern sensitivity for today's children and their parents and grandparents. My Very First Bible begins with the Creation Story and Adam and Eve and culminates in the story of Christ's resurrection. 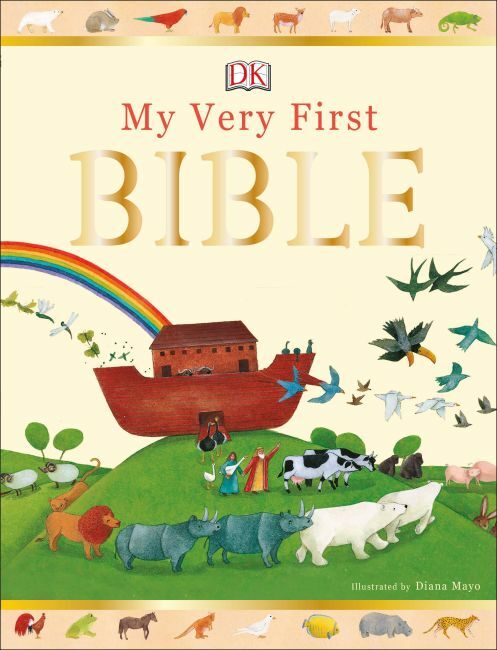 The clear, expressive text, supported by gorgeous full-colour artworks, guides the parents and grandparents through the enjoyable experience of reading wonderful Bible stories aloud to their children and grandchildren for the first time. The stories, combined with specially selected scripture references, instill an early awareness and understanding of the Bible through either "read-to-me" sharing of the exquisite drawings and easy-to-follow text, or quiet, read-alone contemplation. Interactive panels help even the youngest reader engage in the stories - for example, picking out animal pairs in Noah's Ark.